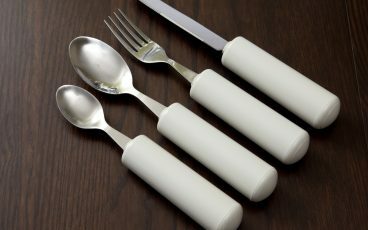 Eating a meal with one hand or reduced grip can be difficult, but simple solutions such as high-sided plates or angled cutlery can make the world of difference. 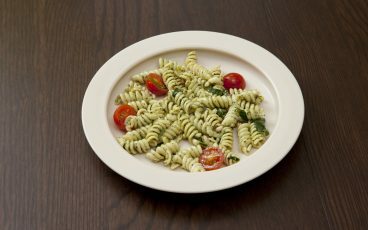 They come in simple, sleek designs to fit in with the rest of your crockery, and are dishwasher-friendly. Research has shown that people living with dementia perceive their surroundings slightly differently than they used to. Visual effects can include a being less sensitive to differences between colours (for example, blue and green) and contrasts. 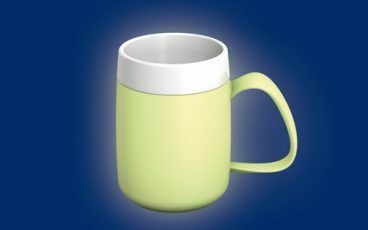 Because of this, we provide cups, plates, mugs and utensils in various bright colours. In particular, evidence suggests that the colour red has a positive effect on appetite and provides orientation. 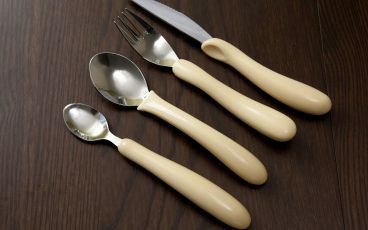 Ergonomically shaped cutlery set for those with weak grip or finger movement. 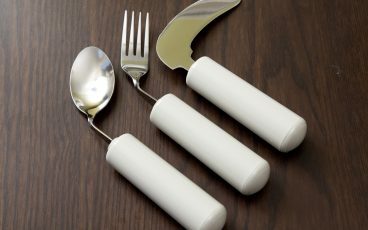 Cutlery set with built-up handles for those with weak grip. With built-up handles for those with limited wrist movement or arm movement. Dementia-friendly and dishwasher safe. Contoured rubber handles for easy grip. 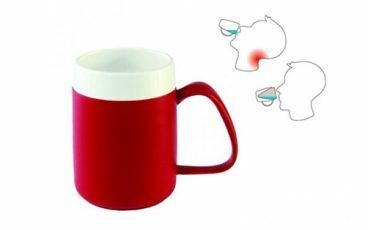 Thermal drinking mugs in dementia-friendly, colours. Easy to grip. Internal drinking cone makes drinking easier. 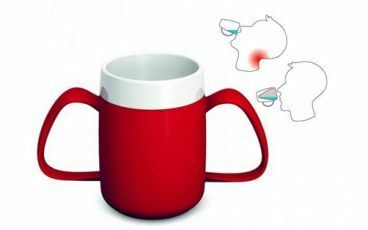 Thermal drinking mugs in dementia-friendly, high-contrast colours. Easy to grip. Thermal technology that keeps hot drinks hot and cold drinks cold. Easy to grip. 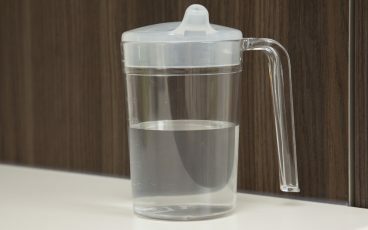 Tough plastic mug with one large handle. 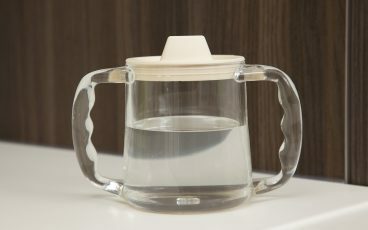 Includes one anti-spill lid and one spouted lid. Spouted mug with a wide, stable base. Contoured handles for a good drinking position. 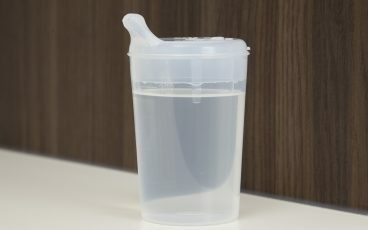 Beaker with a spouted lid to make drinking easier. 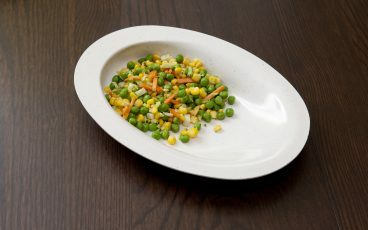 Melamine plate with sloped, non-slip base, high-contrast rim and a discreet lip to make eating easier. 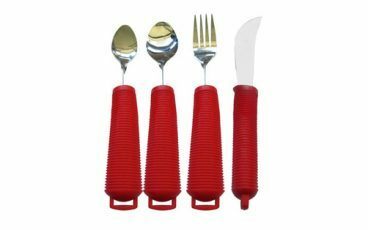 With a sloped base and high-sided end, for those who struggle picking up food with utensils. 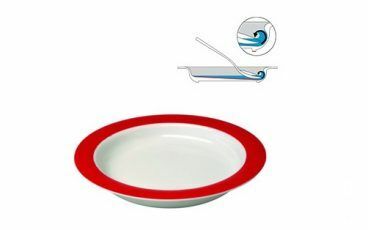 High-sided plate with a non-slip finish designed to assist in picking up food. 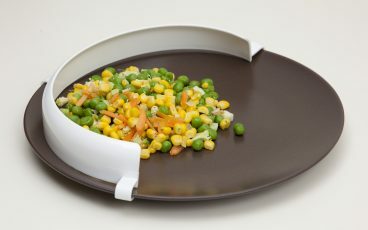 Plastic guard that can be clipped onto a standard plate. Prevents spills and helps scoop food. 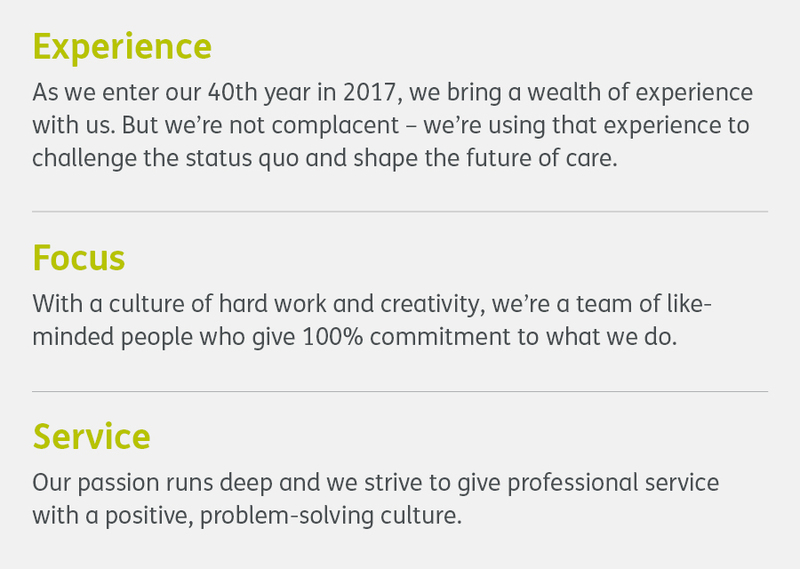 If you’d like to talk to us, please get in touch – we’ll be very happy to help.